I can’t find out how to create a new point at intersection of line and curve. It seems there is no special tool for this purpose but it’s possible that I just missed it. Could you, please, give me an advice? Cannot select the begin or end points of the curve as the axis point. 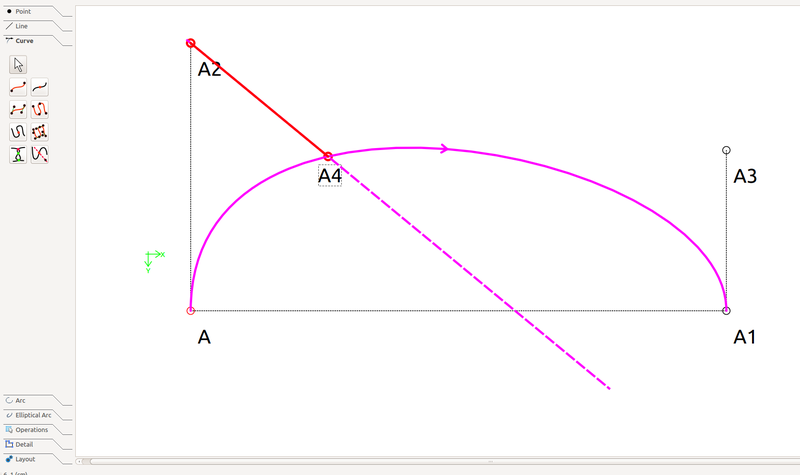 For the angle you can enter a formula (AngleLine_A_B) of the angle a line. God, I’m blind. Thank you a lot! 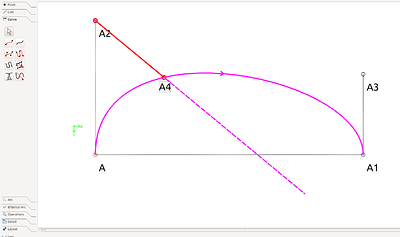 Well this tool uses a point and angle to intersect with a curve. You were looking for a tool which uses two points.